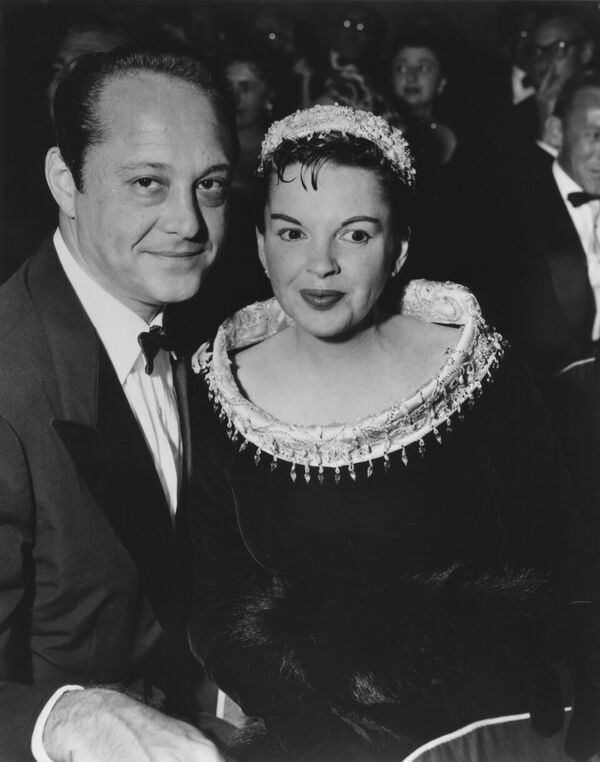 “Judy and I” was written by her third husband, Sid Luft who is the father of Lorna Luft and Joey Luft; married to Judy Garland for over a decade. Luft had been working on his autobiography of his life and his life with Judy for many years. It is a rare and up-close look at Sid Luft’s life before meeting Garland and most importantly… a loving and true testimony to their marriage and Judy’s career. Discovered after Sid Luft’s passing in 2005 by The Sid Luft Living Trust and Royal Rainbow Productions managed by John Kimble and Joey Luft… They now proudly present the most personal portrait of Judy Garland since Lorna Luft penned “Me and My Shadows” in 1998. In Sid’s own words and memories, Luft was a man who never stopped loving Judy Garland. A man who also made some of her greatest accomplishments come true. 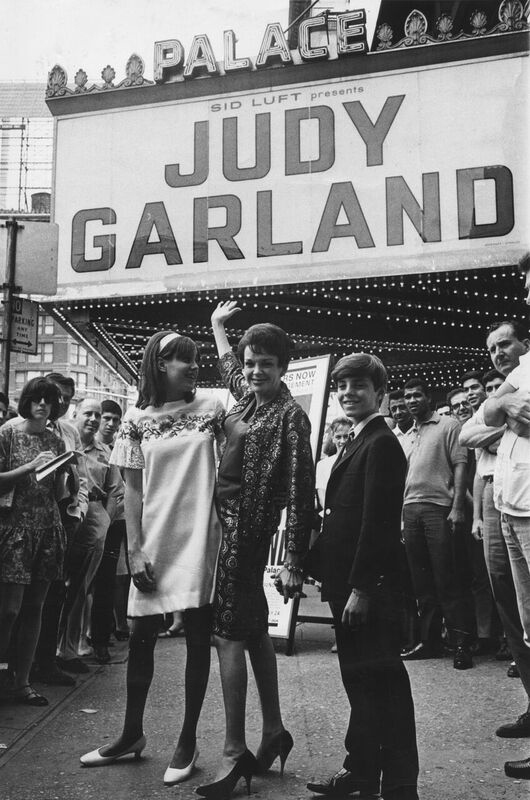 Here, for The Judy Room, Joey Luft and John Kimble share their thoughts on the discovery of Joey’s father’s manuscript, the impact of this book and a little bit of humor inspired by the legendary lady, Judy Garland, herself. Bill Biss: Sid Luft said in his book, “I’m going to help her.” In “Judy and I” his memories of her are so vivid and wonderfully captured. Other than “Me and My Shadows” by his daughter Lorna Luft, these are some of the most personal reflections of Judy Garland that I’ve ever read. Joey Luft: That’s good. That’s good. Bill Biss: Please share the experience of discovering the manuscript for his book that your dad was never able to publish. John Kimble: You know Bill, when Joey’s dad passed away, you can imagine that there is 90 years of somebody’s life. So, Joey and I were basically trying to figure out what to do with everything in storage. A lot of it was going through boxes and that. Then, a little over a year ago, we were going through the boxes and found this 673-page Xerox copy of Sid’s story. Nobody knew it was in that box. John Kimble: Then, with the help of Randy Schmidt and the editor at Chicago Review Press, they were able to piece together the whole story. 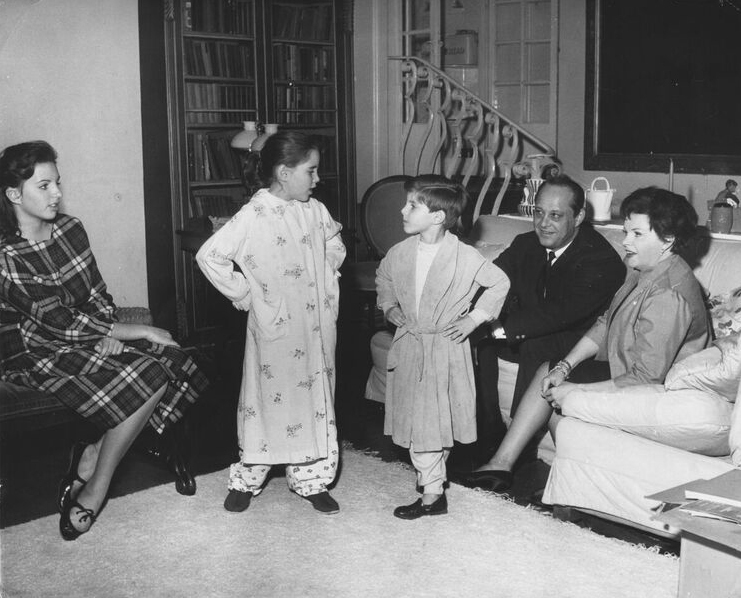 Bill Biss: It’s quite a remarkable look at your mom. Joey Luft: Yes. I know. Bill Biss: There is also the writing of Judy’s that Sid included in this book. She wrote about her voice being much stronger after resting, after leaving MGM. Sid put Judy’s recorded observations in this book, as well. John Kimble: She was trying to do her own autobiography. I think Sid had access to that, where he was able to, every once and a while use her own language from that. John Kimble: She occasionally wanted to tell her own story and Sid was there when that was happening. Joey Luft: Uh-huh (Laughter). Yep. Bill Biss: Or when she says, “How about a shower or a shave?” when Judy is pouring sand over your dad’s face at the beach, after discovering him fully clothed and asleep with a fashion model… just before they got married. Joey Luft: Yeah, I remember reading that (Laughs). Bill Biss: Those quotes bring to light her great sense of humor. Your father really was her “knight in shining armor.” It’s remarkable after reading the book and remembering when your mom told your dad; “I want to work. I need to work.” During the 1950’s and 1960’s, he went out and made that happen. His “rough and ready” style in life and his writing about this… is just another aspect of why this is such an amazing book. Joey Luft: I know. I know. I just put out a quote for “Inside Edition” which talked about that. My whole life everybody has written books about my mom and some people never knew her. John Kimble: I’m sure you got the same experience like I did, as Joey knew his dad and his mother better than anybody. Sid knew Judy better than anybody. To actually be able to tell his story without somebody else writing it or telling a different story… it’s very powerful, I think. I don’t want to speak for Joe but I think it’s his legacy and what he always wanted to do; he’s sincere and he’s so proud. Bill Biss: There is so much more to this book than the certain episodes of her life, which some of the press have used to sensationalize her life with Sid Luft. John Kimble: I know you can enjoy Judy’s sense of humor and what kind of mother she was to him. It’s a shame people don’t write about that. Kirkus gave the book a really good review and they didn’t sensationalize it. Like you Bill, people who really review books and don’t try to put their own slant or perspective of what it used to be. It’s what Joey likes to talk about. Bill Biss: Your dad was a tough man and I think that’s what appealed to your mom. Joey Luft: I know. Yeah. Bill Biss: Randy L. Schmidt did a seamless job of taking Sid’s previous interviews and taped recordings into the final two chapters. John Kimble: Yes, Randy had some interviews and then some transcripts that we had. He went around and did his best to not use his own words but what Sid would say. He wanted to finish the story. After Judy and Sid were having trouble… she got involved with a couple of agents. When it got to that part. It was whenever Sid wanted to tell that story. By that time, it’s kind of like what’s happening in the world today with these politics. They keep lying and lying and lying. People start to believe the lie. That’s how that worked with them [David Begelman and Freddie Fields]. There are just these constant lies about Judy and Sid. It was tough because Sid was trying to raise Lorna and Joey, while all that stuff was going on. Joey’s kind of wanted to be able to tell that part of the story about really what happened. Since those guys were still alive at that time, nobody really wanted to write it or tell the story. John Kimble: For me and for Joe; it’s a bittersweet moment, too, that Sid got in what he was trying to say. To let people come up with their own conclusion based on not everybody else’s stories. It is Sid’s own story. Joey has gotten some feedback that some people didn’t know that side of Sid and it’s kind of cool. 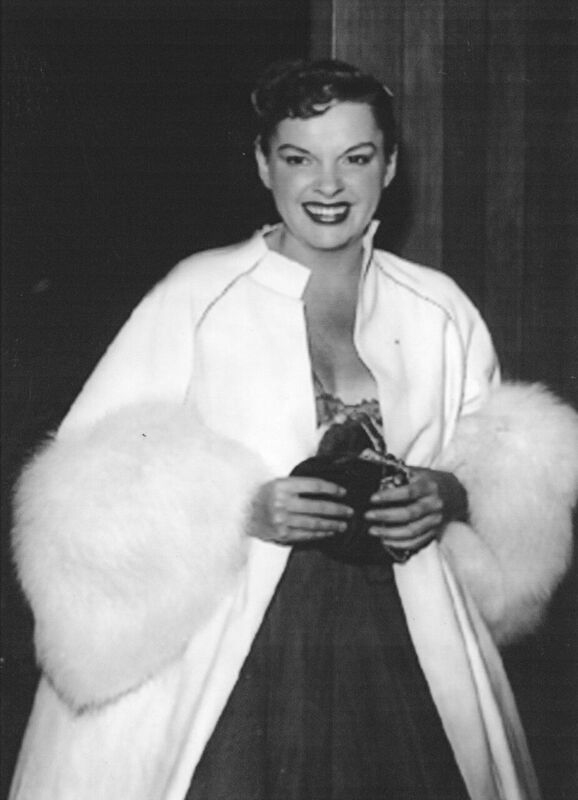 April 21, 1952: Judy arrives at the star-studded post-party celebrating her opening at The Los Angeles Philharmonic. John Kimble: You know, Bill. When we met you down in San Diego, it’s rare to find people who want to interview Joe or talk about his mother, in the way it effected them. When you said, “their body of work.” I know in today’s world, we’re not dumb. We know people who like to sensational all that stuff. It’s so disheartening when all that happens. “Meet Me in St. Louis,” Easter Parade, The Wizard of Oz, A Star is Born, Judgement at Nuremberg and The Clock. How do you never talk about that? John Kimble: It doesn’t make sense to me. I don’t think it makes sense to Joey. That is incredible. Her and Mickey Rooney; the money they made built MGM. Isn’t that a better story, sometimes? Bill Biss: Oh yeah. It’s a tremendous body of work. It was work. It was tremendous pressure. You simply don’t find talent of her caliber that is this long-lasting. Joey Luft: Yep, I know. Bill Biss: I think that wraps it up. It’s only four years until what would have been Judy Garland’s 100th birthday. So, start planning! Yes, I know. Thank you, Bill (Laughter). The “2016 Year in Review” is here! For those interested, my review of JUDY AND I will appear in the Spring 2017 ARSC Journal. 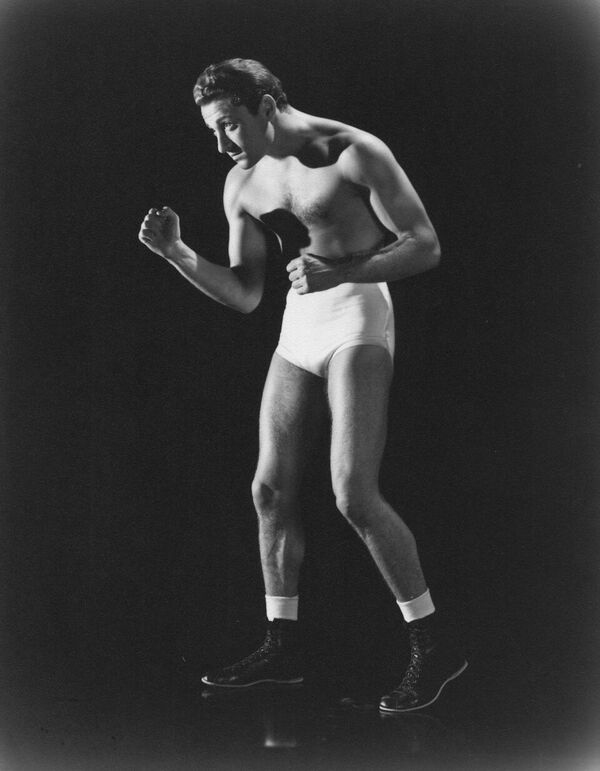 I had read long ago that Sid Luft was writing an autobiography, so I was very happy that it was found and completed. All us Judy fans are very interested in his impressions on Judy. His reputation is so controversial, but he was such a large part of Judy’s story. It can’t be told without talking about his influence on her career, which was substantial when you think that it was him that got her started on her spectacular concert career. 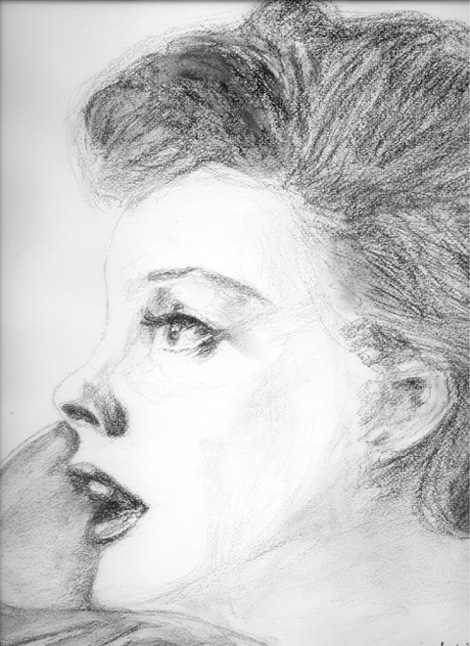 I got my first Judy Garland (At Carnegie Hall – not a bad start!) when I was in third grade. Fifty four years later (Yikes! ), I have something like 250 albums, and I believe all the hard cover biographies. My interest in show biz starts and ends with Judy. I’m very excited to read Sid’s story. Mike B.